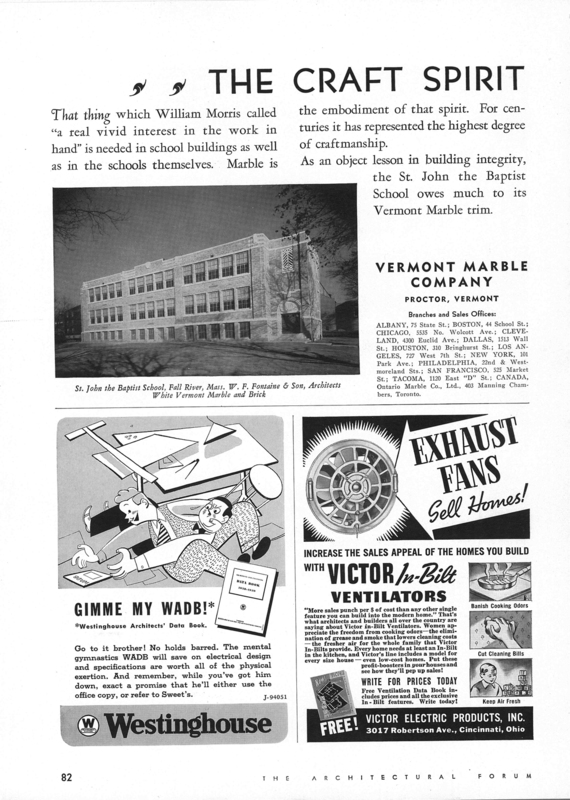 So it’s time for another round of ads from the Architectural Forum circa 1939. I started off flipping through looking for some more white lead ads (always a winner) but started to see how some of these ads could seem exploitative or downright sexual. Of course, you have to be looking for that sort of thing (I was). All of these ads can be clicked in order to enlarge the image so if you want to really get in there and read and study them – knock yourself out. 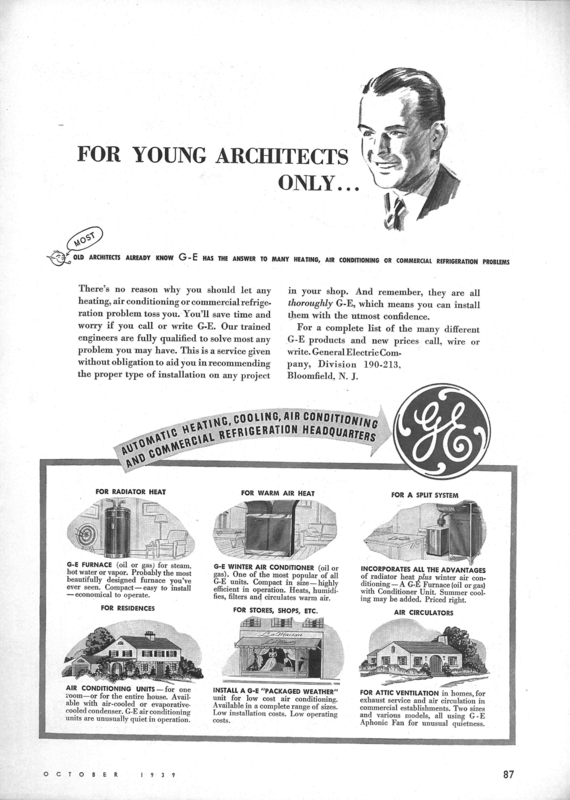 This is for young architects only because they don’t know anything yet … oh yeah, and a couple of old architects as well. 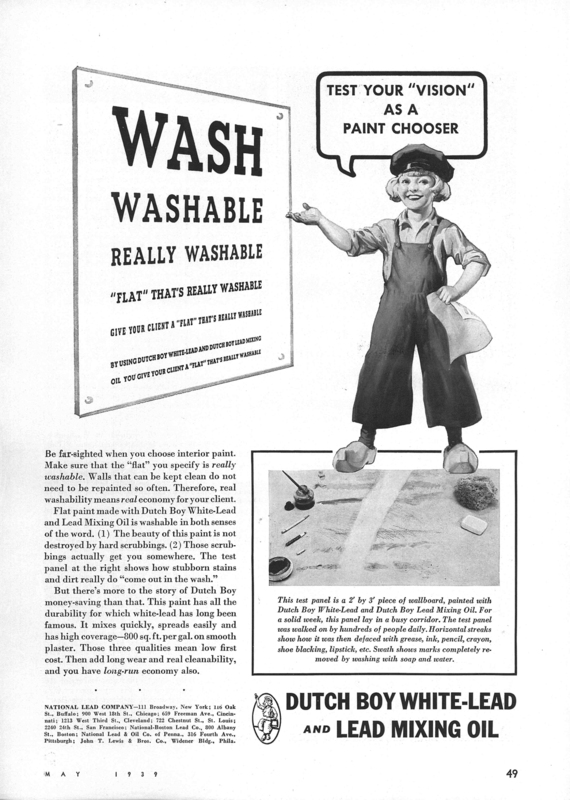 Not the most graceful of transitions, one minute we were talking about Tommy Dorsey and next thing you know we were talking about a paint designed to be cut down with paint thinner to make the paint go further. I don’t call that “swing” I call that “cheap”. I could also have asked the question: So exactly what sort of job was that guy getting in the bathroom from Shelf Lavatories? What?!? Is that what they used to call it? He clearly doesn’t know how to use his WADB and she is starting to look irritated about it. C’mon man! 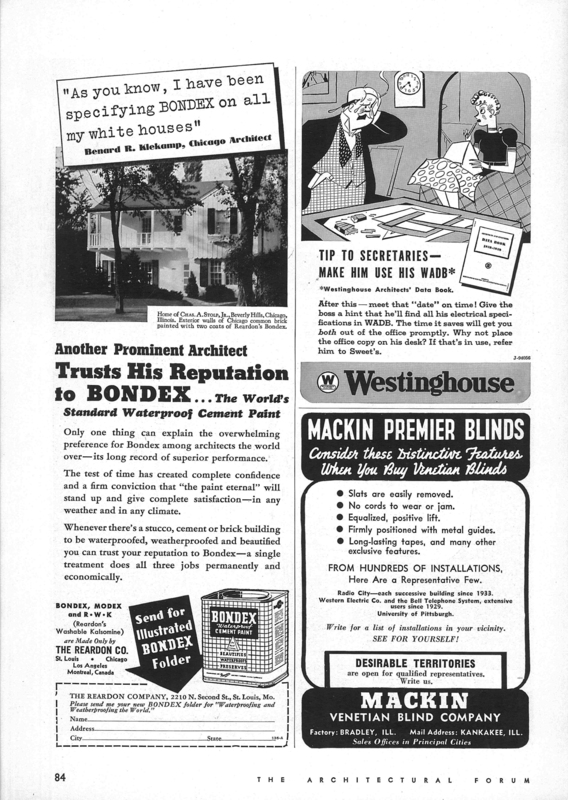 That one guy wants the other guy to give him his WADB … very progressive ad for 1939. 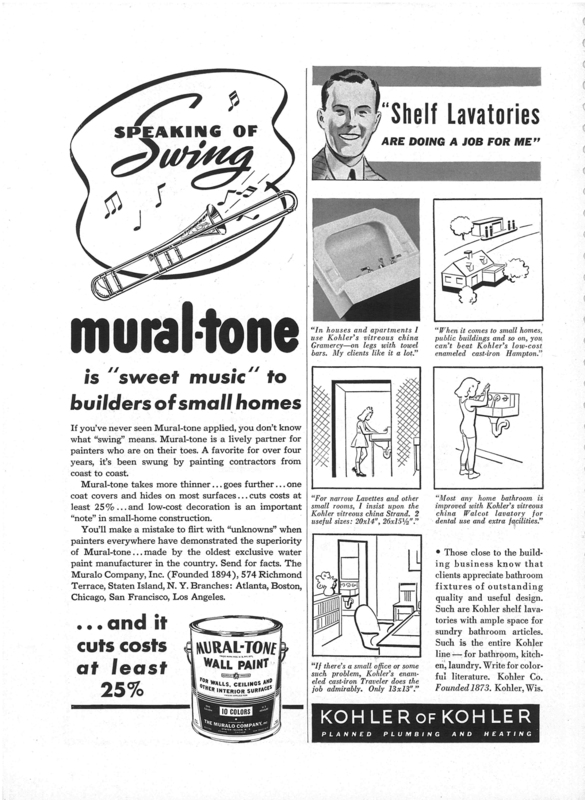 Lead paint and lead mixing oil? OooWhooo that’s right, they do want you to test your “vision” … but do it fast because you ain’t going to be around for long. 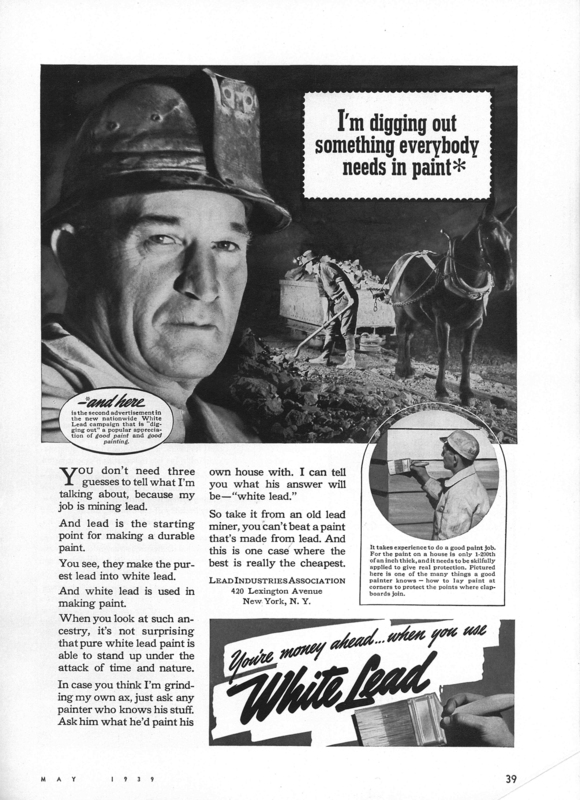 There are so many white lead paint ads in these old Architectural Forums, I just can’t resist including a few – “You’re money ahead … when you use White Lead” until that miners family comes back and sues you.